snchz had the most liked content! Today wearing the mirror panel pullover, green lambswool version. Yes of course, I have an online store and we have stocked them but now we have only two sizes left: https://redcastheritage.com/products/tender-ryeland-wool-indian-black-dye-tapered-winter-jeans As I have told to William, these are the best winter pants I have ever had. I live in Madrid and Ryeland wool maybe is too much for our climate but it´s cold here these days and I´m delighted wih them. 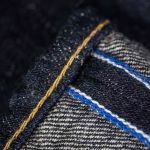 I´m a big fan of heavyweight denim for winter season but this year I´m totally in love with my Tender 130 Ryeland wool jeans. 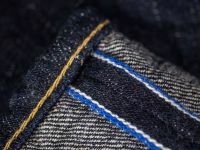 The fabric is soft inside and rough outside due to they have been weaved as denim (cotton/wool twill). They are super warm!